00:13 Chris Ronan: Hello everybody, welcome to Inside Geocaching HQ. I’m Chris Ronan, one of the lackeys here at HQ. My username is Rock Chalk. Happy to be back with you for another episode. This time around, we are talking about the Love Big promotion, which began just recently here in the US. Around 500 trackables are being released, and from February through April, cachers can share photos for the chance to win prizes, which we will hear more about in just a little bit. If you’re outside the US, sorry we missed you this time around, but we’ve got more promotions coming up throughout the year, so hopefully we will hit your area then. And if there are companies in your part of the world who might be interested in partnering with Geocaching HQ, you might consider turning them on to this podcast, because our guest talks about why she has so enjoyed her relationship with the Geocaching community. That guest is Kat Kronenberg. She is a best-selling, award-winning author of Dream Big and now Love Big. Super nice person, I really enjoyed our conversation. Joining us from HQ’s partnerships and promotions team are Katie and Ellis, with insights into how this promotion works. So here’s me and Kat and Katie and Ellis talking Love Big. 01:43 CR: Well, Kat, welcome to Geocaching HQ. We’re so excited to have you here. You’re the first author that has been on our podcast, and I can already tell you’re classy-ing up the place. 01:54 Kat Kronenberg: Oh, I love it! [laughter] It’s so fun to be here. I’m from Texas, and to come all the way here and see the headquarters, having been a part of it for a couple years, this is a beautiful office space with amazing people, so I couldn’t be more excited to be here. 02:09 CR: So before we get into the trackable promotion, how did your just work in writing and being an author, how did that all begin? 02:16 KK: How did I get into writing, that is a wonderful question. It whacked me over the head. I was meant to tell a story, I was actually at a symphony with my husband, closing my eyes, taking in the music, and I don’t know if you’d call it God, divine inspiration, but it was like something whacked me over the head that I was meant to write books about the power of a smile to encourage us all to live our best life. And at first I thought I was crazy, then I ran from it. And 10 years later I have books in my hand that are bestsellers and number one new releases. So it’s been a fun, odd journey. 02:49 CR: And so tell us about the books. You’re promoting a new book with this trackable promotion, but what have you written before this? 02:58 KK: Okay. They’re really a trilogy. It’s three books, the first promotion I did with you guys was my first book that released January 2017 called Dream Big. And my second book, Love Big, just released this January, called Love Big. And their trilogy is based on the fact that we’re all made of stardust, it’s above us, around us and within us all. And we all have a priceless, timeless treasure in our chest called stardust. And it’s true, it’s really… It’s a playful… Each book touches on… Dream Big, the wished-upon star comes down and lights the stardust in our heart. Love Big, we share a smile, lights the stardust in our heart. And so the stardust to the kids represents treasure, and so that’s how I found geocaching when I was doing my research, when I first started writing, was all about the treasure in your chest, for us symbolic of our heart. And then I found this worldwide treasure hunt called geocaching, and I was like, “Oh my gosh. So that’s how I found you guys, geocaching. It’s just a phenomenal deal that it’s worldwide and there’s treasure chest everywhere you go. Anywhere you travel, you can fine one. So that’s how the two worlds met. 04:15 CR: And I know that you have done a number of events with geocachers, we had one here in the Seattle area. But you’re doing them around the country. 04:23 KK: Yes. I had one in Austin with my book launch, and geocachers came, and I saved some trackables from the promotion to give the people so I could meet ’em face-to-face. ‘Cause for me, it’s so much about building community, and geocaching has such a great community. And the first one I didn’t get to meet people, we just mailed ’em out, so this time I got a little smarter. And how fun to actually get to meet the geocachers, and see their pictures, and see them with a trackable. It’s just made it more fun, and I got to meet you this past Sunday, and Katie at the event, and it was really fun. It couldn’t be a happier, more inclusive crowd, so it was really fun to make it a little more meaningful to have face-to-face with the geocaching community. 05:11 CR: Yeah. We have Katie and Ellis in the room with us here, and we’ll hear from them here in a little bit about the… From the biz dev team about the promotion. But you must have been pleased with how the first round of this promotion went with your first book to come back and wanna do it again, right? 05:27 KK: Absolutely. It was mind-blowing, ’cause I’m still really green with geocaching. I’m the creative mind, so my kids have to help me with the GPS and all that. But it just blew me away with the trackables to go to the actual promotion page and see how many miles; they’ve travelled over seven million miles. I just think that’s beyond mind-blowing and exciting and fascinating, that treasure on a worldly level can travel that far, what can we do with the stardust in our heart? So I just love the parallel, I love what it’s all about, geocaching, and alongside my stories. And so with Dream Big, it blew my mind, so I had to keep going with Love Big, and I have a third book that’s coming out, Think Big, which I didn’t get into with the stardust, so I’ll do it again, I’m sure, with Think Big when it promotes next year. 06:22 CR: And being at that event that you had here in the Seattle area, of course people were excited about trackables, being geocachers, but it was also great to see how engaged everybody was with the story that you were telling. 06:35 KK: Yes, yes, [chuckle] it was a great crowd, because there was definitely some kids there, but it’s a book that’s meant for all ages, and to build community that we can share a story together no matter what age. It’s a picture book, my books are picture books, but people had capes on and crowns and all ages from the kids to the adults. And yeah, so it’s really fun. And my favorite part is getting to tell the story in the way that it was written, so people can see how many layers there are, and it can come to life for them more than just off the page. So like Sunday it was a blast, and the whole community went with it, so we had fun. 07:13 CR: What is your process of creating these stories? And when you talked about being hit over the head with the idea of writing, but then there’s a lot from getting there to getting to the final thing, right? 07:24 KK: Exactly. Yes, no, it took me a while because really, like I said, I got whacked over the head to write a book about the power of a smile, and didn’t get much more for quite a while. 07:35 KK: So I wrote the smile is a superhero, I wrote a middle-grade, I wrote it 100 different ways trying to figure out what it was, the story I was meant tell. I’ve kinda had an interesting life, tough life, and I knew it needed to have emotional-social depth to it, and layers that people could really build a foundation underneath them at the end of the day after they read it. But I didn’t want it didactic or overly overt. So then it came up that it had to be African animals, use the process of what an animal goes through, how they evolve, to help kids and families see themselves and their choices and the things they can do, and bring it back to their own life. So slowly over time with a lot of writing workshops, and a lot of peer groups, and a lot of classes, it all came together. And I think they’re phenomenal, it’s been amazing to see kids and families respond in schools, and it’s been a really wild ride. [chuckle] So it took a long time to get here. 08:39 CR: And besides trackable promotions, which is probably one of the more non-traditional ways that you promote your book, as opposed to how it’s normally done, what other things do you do to get the word out about your books? 08:54 KK: This is probably my biggest promotion. 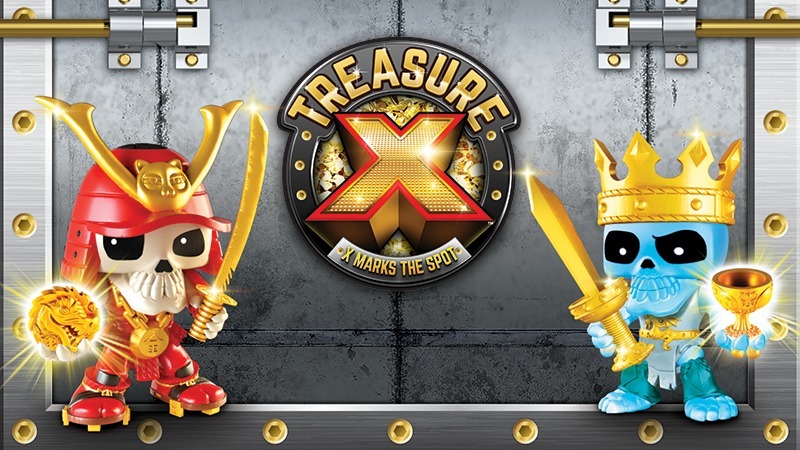 I’ve put my biggest budget towards this ’cause I just… Like I’ve said, the treasure, the representation of the treasure in our chest is really such a key point, that’s not overt in the book that I wanna build that message, and geocaching is just a cool way to do that. And then I’ve gotten a lot of press and coverage, news, radio, TV, and that’s just been the luck of the draw, it’s just created its own momentum. And school visits is the other things I’ve really done a lot of. People have sought me out and then they loved my school visits, so then I get 10 more school visits, and then I get to connect with the kids. It’s just like the promotion here with geocaching, it’s really powerful when you get to share the stories with people eye-to-eye contact-wise. So that’s been where I’ve spent my most time, is actually connecting with the kids in the communities to bring the story to life in a really meaningful way. 10:00 KK: Yes, all generations. 10:00 CR: Really plays in well to your… Yeah, to your story. 10:03 KK: Yeah, because I have grandbabies, and then my kids, which are 20 and 18, and all the adults in my family, and we can all go do it together, which is really fun. And I like walking on a beach and finding shells; I’m a treasure seeker, you know? It’s not chance that I think all this found me. And geocaching, you can all… The thrill of finding a cache with your family, or I love that some of the caches have find a treasure, take a treasure, it’s just… It’s magic, it’s just a really fun, fun thing. And then I get to bring back the theme of the treasure in your own chest when I do it with my family or different groups. 10:41 CR: It must be fun to see how excited geocachers get, not just about your stories but also about these… Geocachers are crazy for trackables, it must be fun to see that. 10:51 KK: Oh, so that’s why I came back for round two, and I’m sure I’ll come back for round three, because book two is all about building a we community, Love Big. We can’t do life alone, I couldn’t write my book, even though it seems like a solo endeavor, it would have never gotten here without the help of so many wonderful people along the way. And so geocaching has a built-in community. It’s just everybody… Like at our event on Sunday, some had met each other, some hadn’t, but you’re like fast friends, none of ’em had met me, and they hemmed me in right off the bat, and we just had a ball, and they went with my goofiness of reading my story. And so yeah, it’s all about community, and geocaching has a great one. 11:33 CR: Well, like I said before, we also have Katie and Ellis from our biz dev team here with Kat as well. Katie, tell us about this promotion and how it worked from Geocaching HQ’s end because this has been a long-term relationship now with Kat that we’re all really excited about. 11:48 Katie DiJulio: Yeah, thanks, Chris. 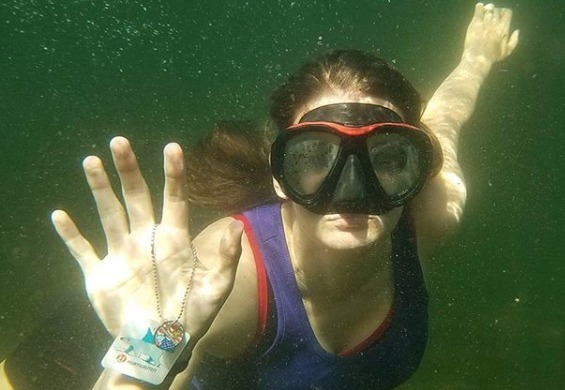 So Kat came to us in 2016, I believe, when she first reached out just as a general inquiry to learn more about geocaching and ways that she can use it to promote her book. And at the time, I don’t think she even had a website up, [chuckle] and there wasn’t… It was very, very in the beginning stages of her first book launch of Dream Big. And so, I began talking with her and wasn’t quite sure if this was going to work out, but as I got to know her over the phone, she just had this authentic story about how she came to found geocaching, which you’ve heard her talking about today, and how much community meant to her. And this whole idea of finding the treasure in your own chest really struck a cord with me, because as we know, that’s what geocaching is all about is finding treasures in community and families. And so it molded into this conversation that became more and more in depth, and we were getting really excited about the possibilities and everything we could do. 12:55 KD: And we launched in January of 2017 with Dream Big, and it was a huge success. Her book was a number one bestseller on Amazon, we were so excited and stoked, it was really well received by the community. And for that promotion she had photo contest that ran from January to October, and each month she would award the best photos with a signed autographed book, and it was just really fun. And I think the winning prize came on National Smile Day or something like that in October, and it was really neat. And so when she came back to us again for Love Big, of course we were so excited to work with her again. And I know the community has loved every part of this too, now that she’s hosting events, and it’s not just submitting through the web form, there’s other ways to get trackables. 13:50 CR: And Ellis you have been especially involved with working with Kat on this round of the trackable promotion, right? 13:57 Ellis Bennett: Yeah. So I joined the team a little bit later than Katie, and I got to know Kat through stories from Katie and how wonderful she was. And I was not surprised when I talked to her on the phone for the first time, how enthusiastic she was about Dream Big and Love Big, and it got me really excited to be more involved in this project. This one is especially exciting because Kat is reaching out and going to events, and then she came here to Geocaching HQ, so it’s been a little more personal than the first round. That one was really exciting, and we got to see lots of photo involvement and kids and their families showing off the smiles around the world, but now we get to see Kat person and she gets to interact with our community and that’s really special. 14:43 CR: So there you go, Kat Kronenberg, author of Love Big. Also Katie and Ellis from the Partnerships and Promotions team at Geocaching HQ. 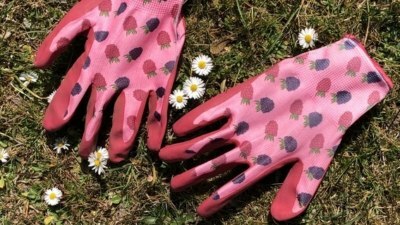 If you would like to know more about this trackable promotion, go to geocaching.com/dreambig. And if you have an idea for our podcast, please send an email. Our address is podcast@geocaching.com, that is podcast@geocaching.com. We love hearing from you. From all of us at Geocaching HQ, happy caching. 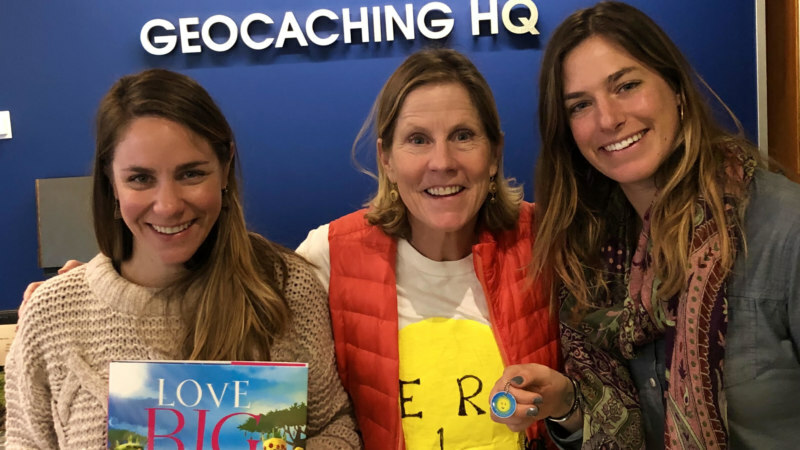 Kat Kronenberg, author of “Love Big”, the inspiration for our latest Trackable promotion, stopped by Geocaching HQ to talk about why she so loves the geocaching community! Katie and Ellis from HQ’s Partnerships and Promotions team joined the conversation with some facts about the “Love Big” promotion. You can listen to the episode via this page, or on iTunes, Google Play, Spotify, or Stitcher. If you use an aggregator to subscribe to podcasts, you can access the RSS feed here. 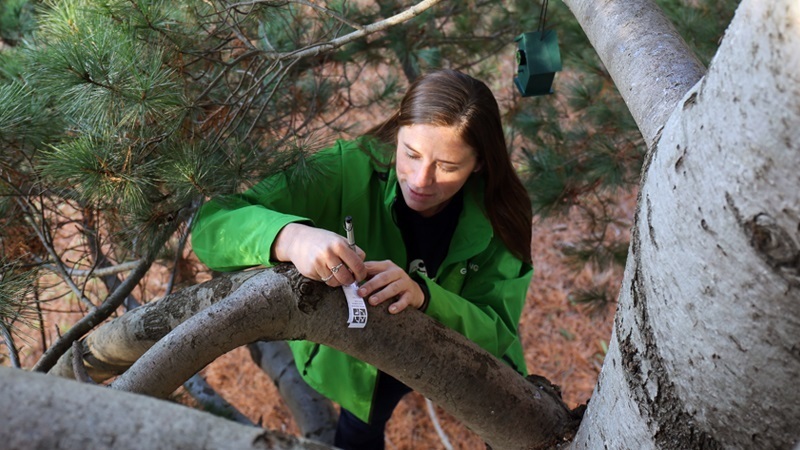 Annie Love (username love) has done it all in 10+ years working at Geocaching HQ. In this episode, she chats about Trackables, HQ’s Public API program, and a lot more! 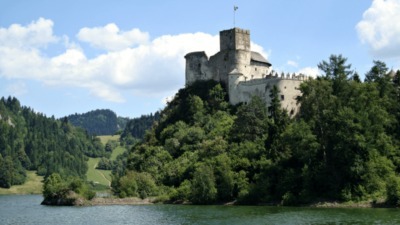 Geocaching can take you to amazing places all over the world. 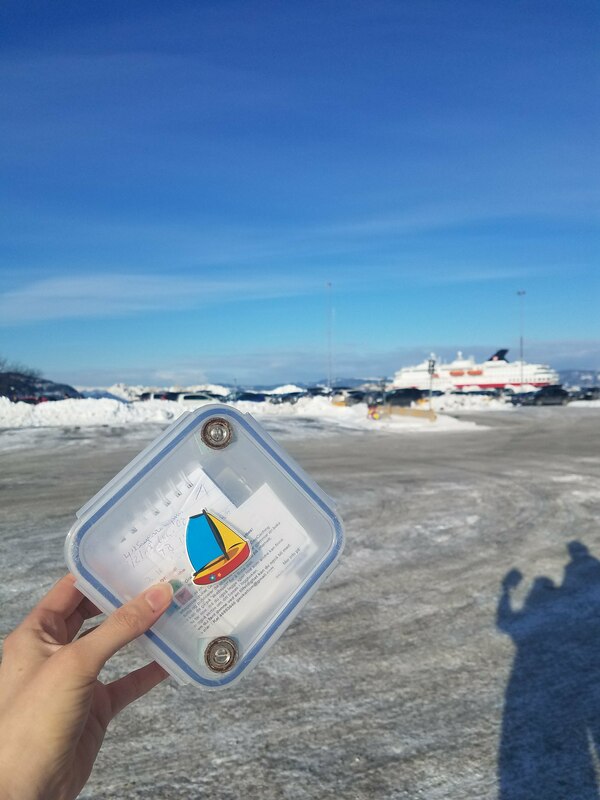 For one geocacher, it took her on a Hurtigruten cruise to Norway where she saw northern lights and quaint coastal towns. In July 2017, Hurtigruten expedition cruises released 3,000 polar bear and penguin trackables for an epic adventure to geocachers in the United States. 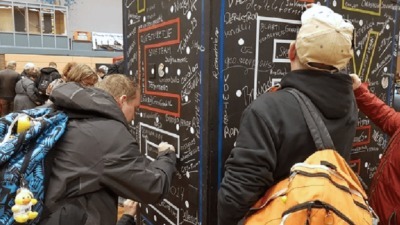 Geocachers showed how they “connected with their inner explorer” on social media for a chance to receive a seven-day expedition cruise in Norway for two. The photo contest winner, Sarah (@myruggy89), shared with us the story of her trip.